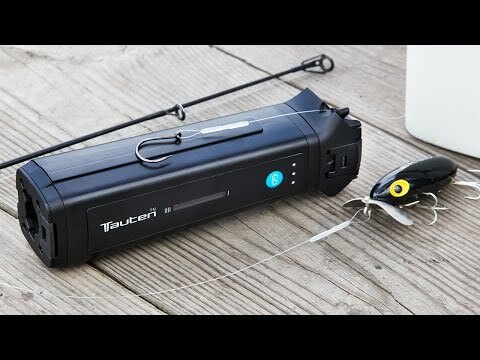 This fishing line welder gets rid of knot-tying altogether. Run the line through your hook or lure, load the lines into the welder, and press "GO" to get a smooth, reliable bond in 30 seconds. 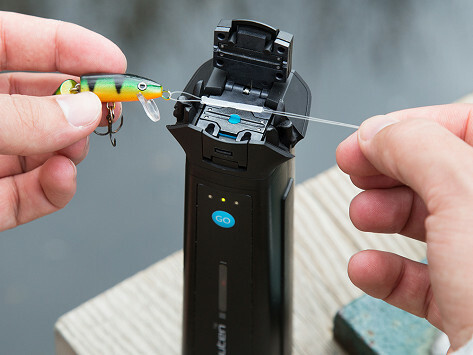 It’s easier and stronger than tying knots, so you can focus on landing the perfect catch. Provides 150+ welds per charge; Each cartridge performs 12 welds. Dimensions: LineWelder Controller: 6" x 1.5" x 1.5"; Outrigger Line Clamp: 3" x 2" x 1"; Base Mount: 4.5" x 2.5" x 6"
Never tie a fishing knot again. In 30 seconds this fishing line welder does it for you, creating a virtually indestructible bond where your knot would be. After you’ve run your line through the hook, loop and load your lines into the welder and press “GO.” That’s it. In less than a minute it welds a smooth polymer sleeve over both. Tauten’s surgical precision isn’t just a coincidence. One of the company's founders had experience manufacturing welding devices for medical procedures. That got him thinking about other knot-tying activities. Fishing immediately came to mind. Whether you’re a pro or just easing your way into a new hobby, you’ll spend less time calculating what knot to tie and more time fishing.